Freshman Brittany Bates, who wrestled for Doyline High School from 2012-16 and now competes for the Wayland Baptist College Pioneers, won her first two college matches on Wednesday, October 19th. In the 136 lbs. weight class, Bates won her first college match with a fall over Valeria Sanchez of Bacone (OK) College. Bates followed that with another fall over Regina Bell of Warner Pacific College (OR). The Pioneers, ranked seventh by Intermat in the Women's College Wrestling Association, defeated Warner Pacific College (ranked 15th) 47-1 and Bacone College (ranked 22nd) 35-11. They are scheduled to compete in the Blue Chip Oklahoma City University tournament this Friday and Saturday. 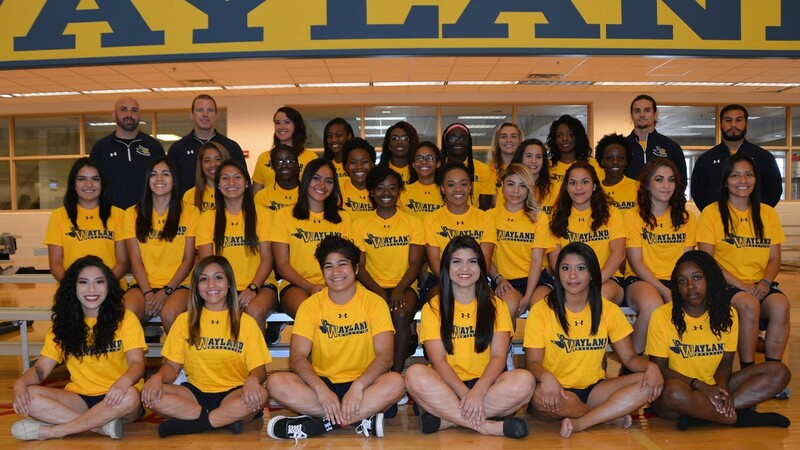 The seventh ranked Pioneers of Wayland Baptist College. is located at the extreme left side of the middle row.